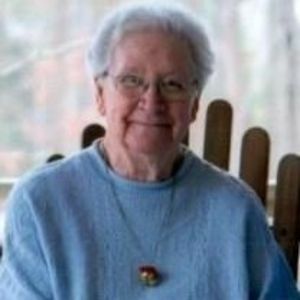 Mary Annie Bumgarner, 87 years old of Cleveland passed away on July 7, 2017 at Gordon Hospice House. Mary was born in Iredell County on November 18, 1929 to the late James Raleigh and Blanche Louise Barnhardt. Mary was a graduate of Cleveland High School in 1948. She was a member of Old Providence Presbyterian Church and a member of the South River "Goodtimes" Lunch Club. She enjoyed crocheting and would attend a weekly group that would crochet at the Iredell Senior Center. Mary was a caregiver to many people and was always willing to help others. She was predeceased by her son Thomas "Tom" Bumgarner in 2015 and her brother James Franklin Barnhardt. Mary is survived by her beloved husband of 67 years, Harold Levi Bumgarner; her sons, David "Andy" Bumgarner and his wife Mary of Cleveland, Jerry W. Bumgarner of Cleveland and Gary "Dale" Bumgarner of Cleveland; her daughter, Janice Norton and her husband Melvin of Statesville; 9 cherished grandchildren and 8 adored great grandchildren. Visiting hours will be held on Sunday 6-8pm at the Bunch-Johnson Funeral Home, 705 Davie Ave., Statesville and again on Monday from 10:15-11am at Old Providence Presbyterian Church, 5140 S. River Church Rd., Cleveland. A funeral service will be celebrated on Monday 11am at the church with Rev. Dr. Steve Hannah officiating. Burial to follow in the church cemetery. In lieu of flowers, donations can be made in Mary's memory to Hospice of Iredell County, 2341 Simonton Road Statesville, North Carolina 28625. Online condolences can be sent to the family at www.bunchjohnsonfuneralhome.com . Bunch-Johnson Funeral Home is honored to be serving the Bumgarner Family.